This is an entirely new era of networking. And you should say hello to Cisco Digital Network Architecture (DNA). What’s the Cisco DNA? We shared a lot before. Wireless, mobility, wireless and mobility. It’s a new world. Bring Wi-Fi into the digital age with Cisco DNA now. Cisco DNA combines security, analytic insights, automation and assurance into one bundle. With Cisco Digital Network Architecture (DNA) at the core of your network, you give wireless users the performance and convenience they demand while maintaining tough security and the flexibility to meet changing needs. Today’s network users are on the move and depend on their mobile devices to stay connected. Cisco DNA for wireless enables you to meet their changing demands in a flexible and secure way, so you can empower employee productivity and engage customers. Not only does your IT team need to handle an increasing number of mobile devices, they also have to contend with proliferating IoT devices too. 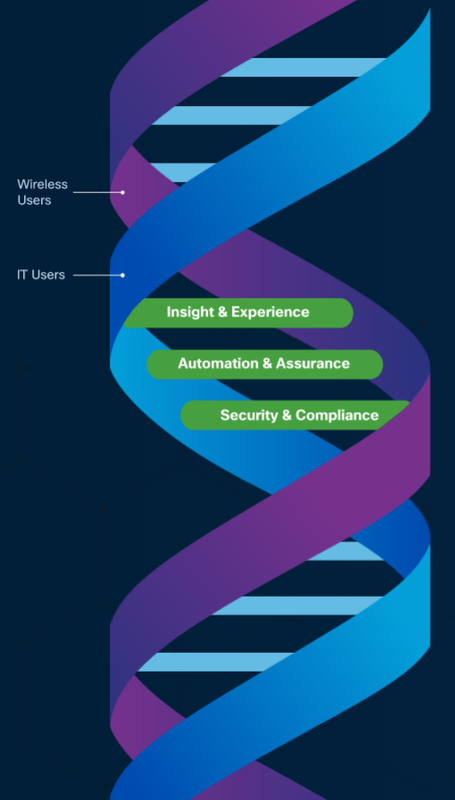 Cisco DNA for wireless gives them the tools to meet changing needs and changing technologies, prioritize the traffic and applications that matter most, and deliver a great wireless experience, no matter the device—all while maintaining security. 56%*of line of business say a mobile strategy is very or extremely important to their objectives. Simplify wireless onboarding for guests. Also, get precise location data on wireless users and devices, so you can analyze customer behavior and track assets. This new data can be easily shared with users. Define and monitor network performance levels for over 1000 applications, so that mission-critical applications always have the bandwidth they need. When it comes to gaining insight from location data, every meter matters. With Cisco DNA, you can track wireless users within 1-to-3 yards so you can learn more about their behavior and share more relevant information via mobile apps. 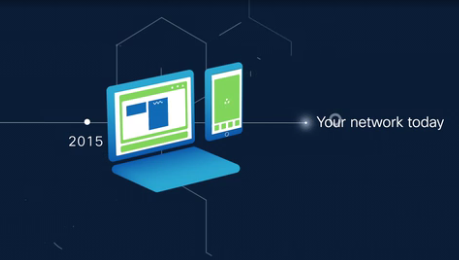 Provide a better mobile user experience by automatically detecting when a large number of devices connect to the network. From there, FRA automatically changes its dual radios in the AP to serve more clients. Manage the airwaves your way. Handle traffic, improve roaming, block interference, and keep up with evolving technologies. Enable employees using iOS devices to intelligently communicate and connect to the best-suited Cisco access point quickly and efficiently—all the while saving their battery too. 80%* of security breaches occur inside the perimeter. Prime Infrastructure: Simplify the management of your network with a single view and point of control. Identity Services Engine: Enforce compliance, enhance security, and streamline operations for better network control. IOS Netflow: Control and manage IP traffic flow, monitor your network, and provide usage-based billing. See how adapting your network not just for today’s wireless world, but for tomorrow’s. DNA for Mobility. Cisco DNA is a Game Changer for the Digital Era?